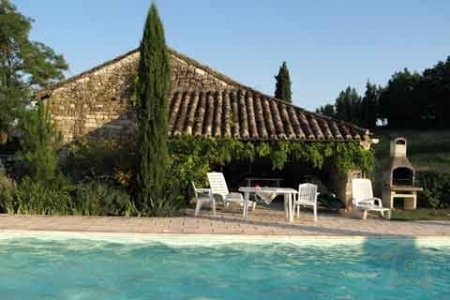 We hope you will feel encouraged to book a holiday at Nougayrède Bas. We believe it will be one of your most delightful and relaxing holidays ever. This picturesque French villa, near Cahors in the valley of the Lot, is an authentic farmhouse and barn conversion built traditionally of local stone. It has been restored to offer a high standard of comfort and character. 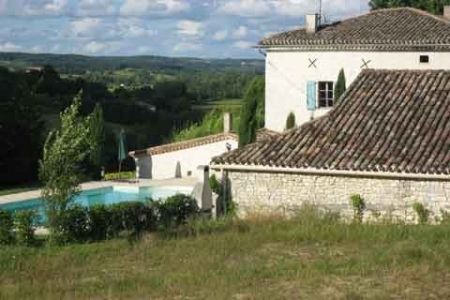 It stands on its own in an elevated position surrounded by farmland, with spellbinding views. Lovely views in every direction.